Snoring Treatment Specialist Melbourne - Treat & Stop it Today! Snoring occurs when the soft tissue at the back of your throat loses muscle tone and flops back, causing the soft tissue to vibrate. Snoring is a very common problem, effecting approximately 40% of the population, but it is a problem that should not be taken lightly. Snoring disturbs sleeping patterns and deprives you of adequate rest. Most serious of all, snoring can be a sign of a number of underlying medical conditions, such as Upper Airway Resistance Syndrome (UARS) or even Obstructive Sleep Apnoea (OSA). 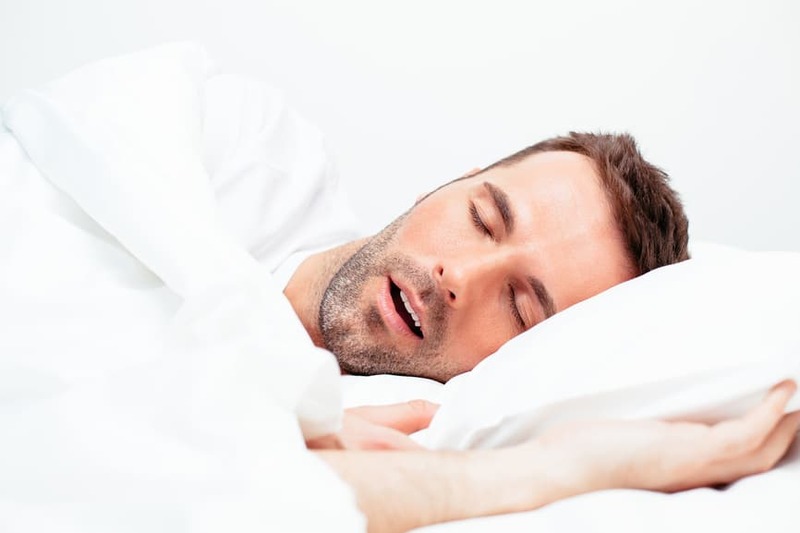 Here at dhealth Dentistry, we’re specialists in treating the causes of snoring using dental techniques. One very effective way to treat excessive snoring and sleep apnea is to use dental or oral devices. Dental appliances can be extremely useful when it comes to correcting mild and moderate snoring and sleep apnea. Best of all, there are numerous options when it comes to dental devices; we can recommend one that best suits your particular needs. One highly effective dental device that can be used to treat snoring is a splint known as a Mandibular Advancement Splint (MAS). A MAS is worn at night, just like a mouthguard. It works by moving your lower jaw forward slightly to open up the airway and prevent the vibration of soft tissues at the back of your throat, which are heard as a snore. There may be a host of other factors affecting or causing snoring. That’s why we will always undertake a proper, thorough evaluation, and possibly even a sleep study, to determine the best course of treatment for you. Why Treat & Stop Snoring with Dentistry? To improve both the duration and the quality of your sleep. Without the restorative, repairing affects of sleep, it is highly likely that your overall health and wellbeing is suffering in a number of other ways. To improve the duration and quality of your partner’s sleep; it’s highly likely that your snoring is keep your better half awake during the night as much as it is you. Dental devices such as splints are extremely easy to use. Plus, unlike more permanent dental treatments like braces, you can remove a splint during the day. Snoring can often be a symptom of a larger, more serious underlying medical condition such as Sleep Apnoea. It is always better to have these issues treated as quickly as possible, before they cause any long-term damage.